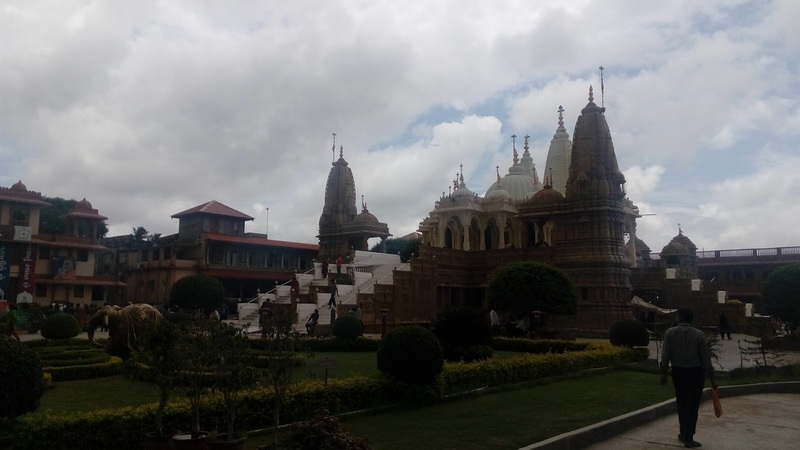 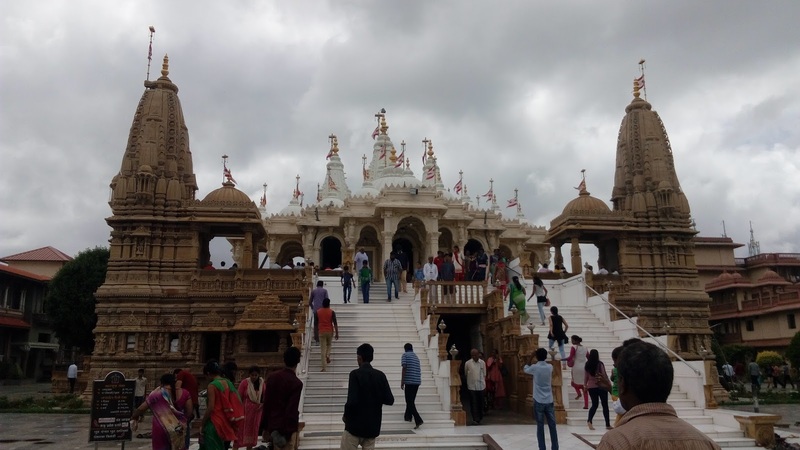 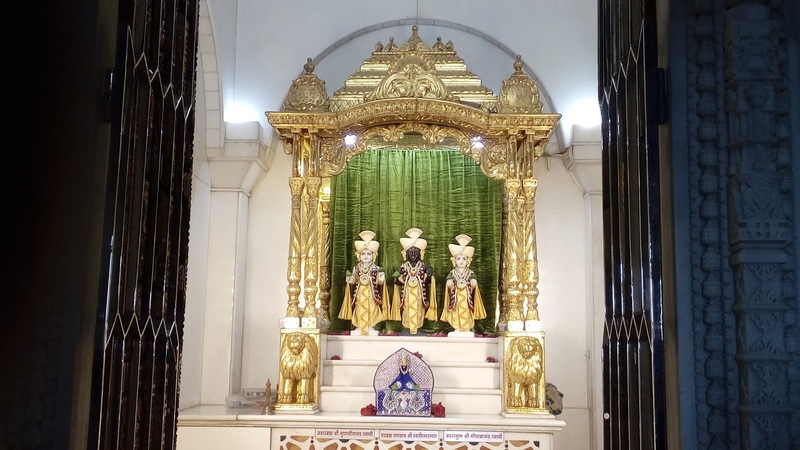 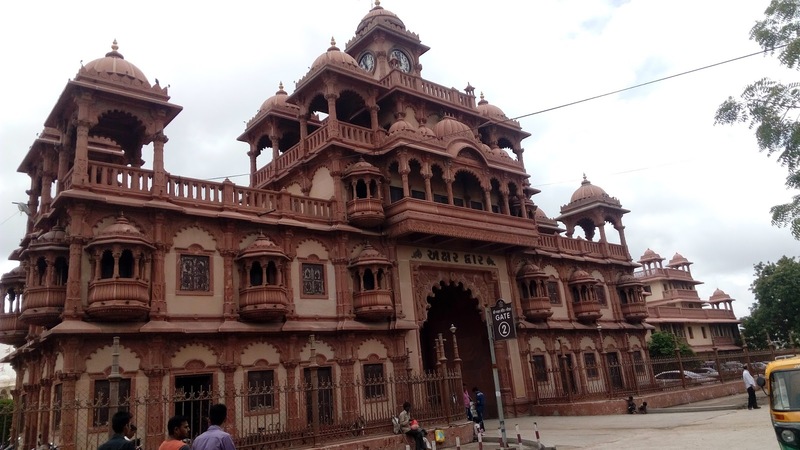 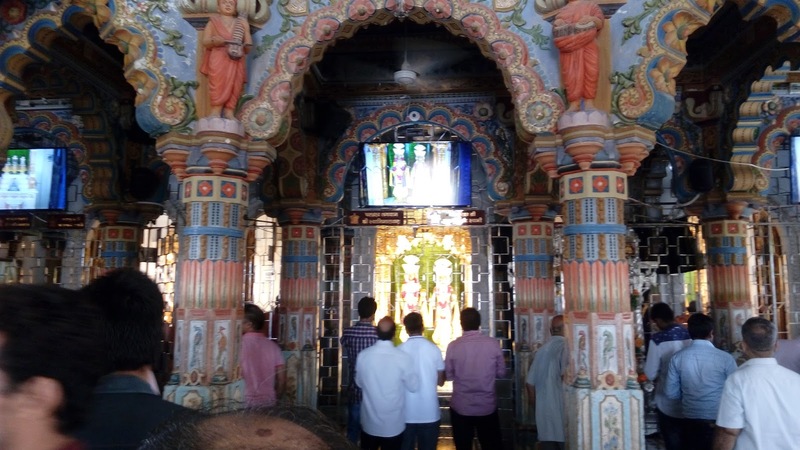 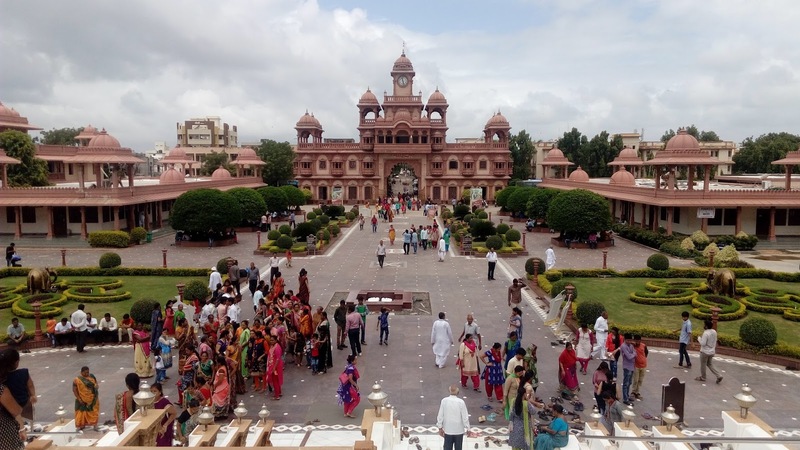 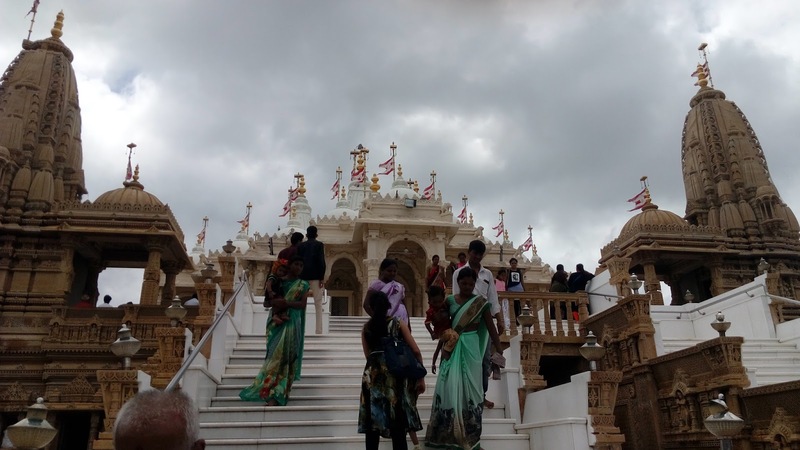 Gondal city is located near Rajkot Gujarat India.BAPS Shri Swaminarayan mandir is located on the main yogiji Maharaj road in gondal city.BAPS Shri Swaminarayan Temple Gondal is of utmost significance to BAPS worldwide. 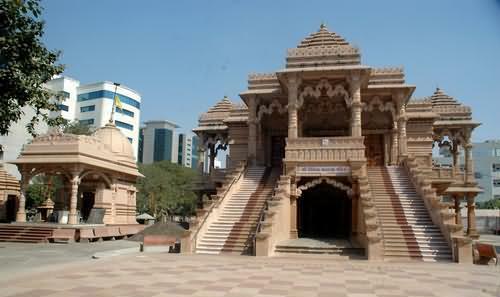 Here is some fact about BAPS shri Swaminarayan temple in Gondal near Rajkot Gujarat india. 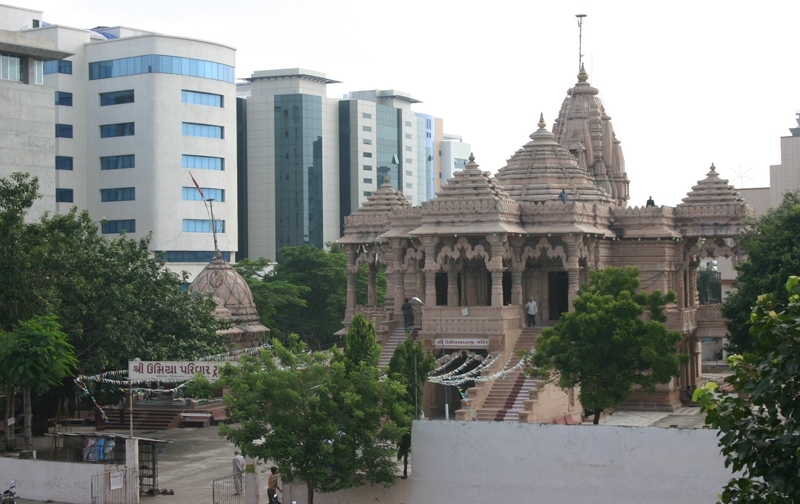 How to Reach by Air : The nearest Airport is Rajkot Airport within 35 KM. How to reach By Rail: The Nearest Railway station is Rajkot and Small station is Virpur station. 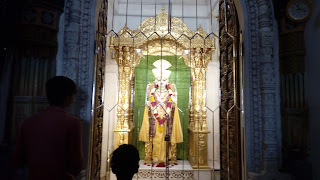 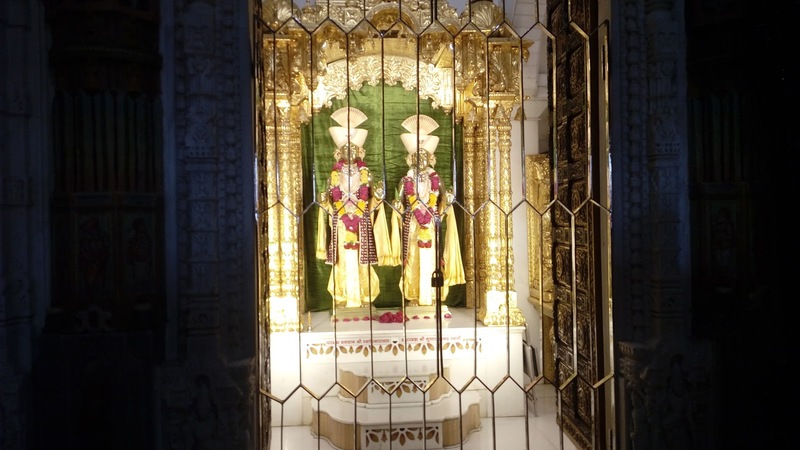 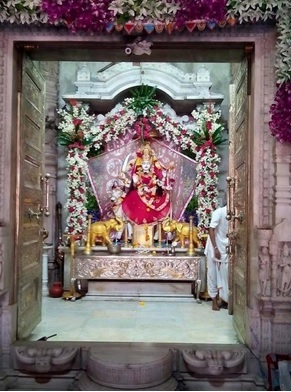 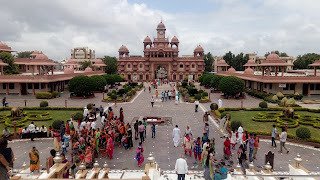 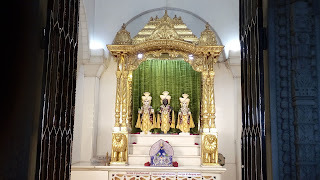 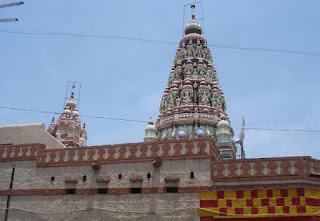 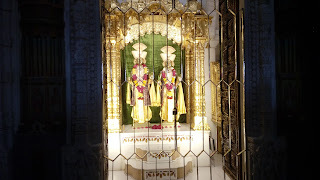 BAPS shri Swaminarayan temple is located in Gondal city within 35 KM of Rajkot city Gujarat India.The temple was built in 1934 and built by third successor of Sawmnarayan Shashtriji Maharaj.The temple is dedicated to Lord Swaminarayan.This temple includes idols of Dhami, Guru Parampara, Dham, Mukta, Ghanshyam Maharaj and Sukh Shayya.Symbol of BAPS is derived from "Aksharderi" which is Shrine of "Aksharbraham Gunatitanand Swami" in Gondal temple ground Floor. 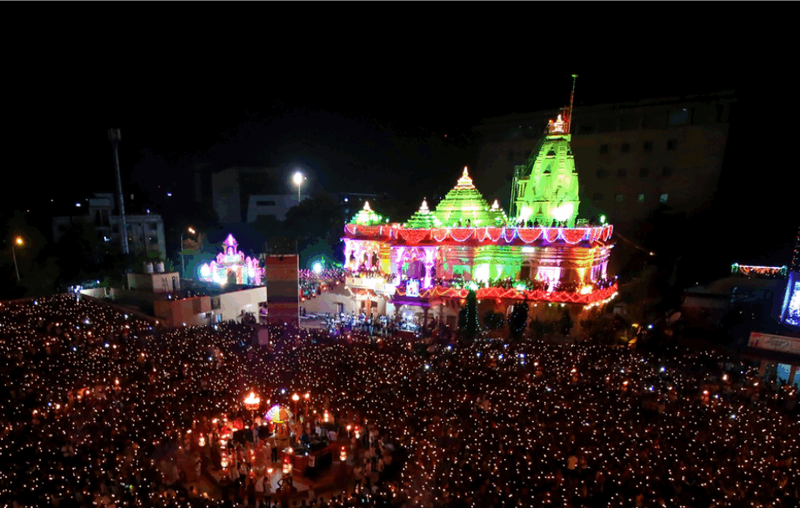 Devotees of Lord Swaminarayan visit Gondal from all over the world to offer their prayers in "Akshar Deri". 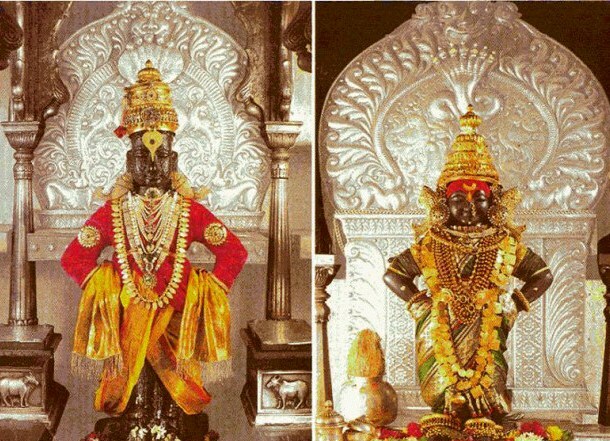 Idols in temple are too beautiful and of the best attractive. 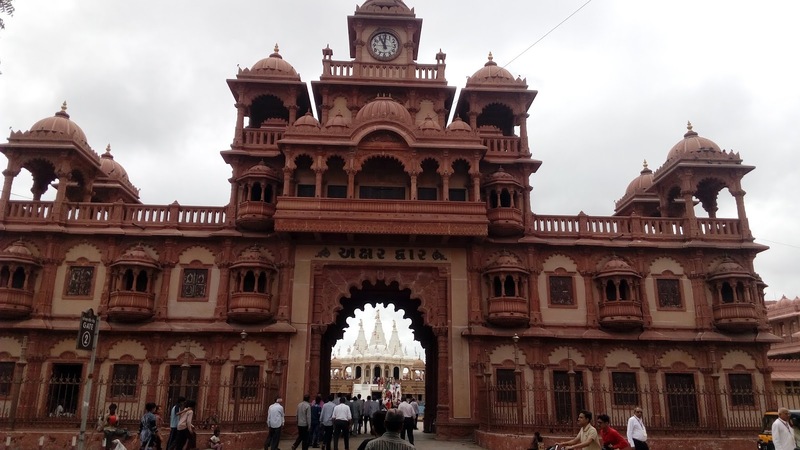 There is huge gate built by BAPS Swaminarayan Sansthan at the entrance of Gondal. 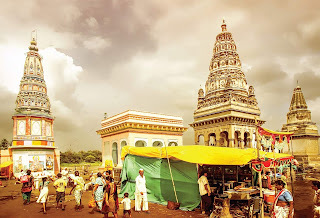 About half a km there is magnificent temple built by BAPS. The main entrance of this temple is like some palace of jaipur or udaipur. 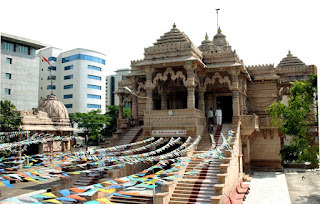 Moreover temple too is made of very good quality marble. 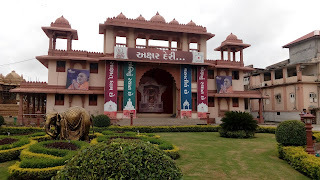 All the pilgrims are offered free lunch and dinner here and boarding facility is available.Out side of the temple built a beautiful garden looking greenery of forest.There is one souvenir shop where you can buy swaminarayan T shirts, Japa mala, medicines,Swaminarayan sanstha products,Bhakti mala,Swaminarayan Pictures,Puja things,religious books and many products.It is a wonderful place to visit on Sharad Purnima day. Akshar Deri is visited by hundreds of thousands of people from throughout the world. 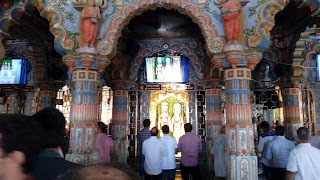 Devotees offer prayers, prostrations and perform circumambulations for spiritual elevation, fulfillment of mundane desires and relief from miseries. 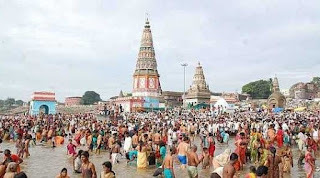 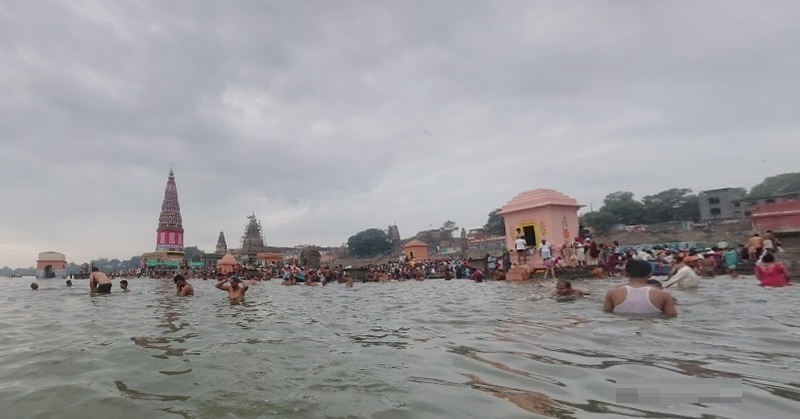 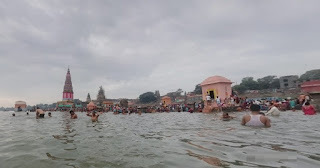 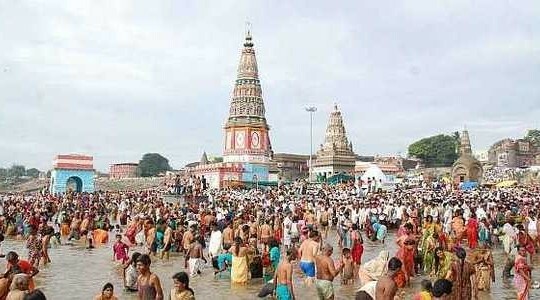 It is a divine and holy place of pilgrimage in the Swaminrayan Sampraday. 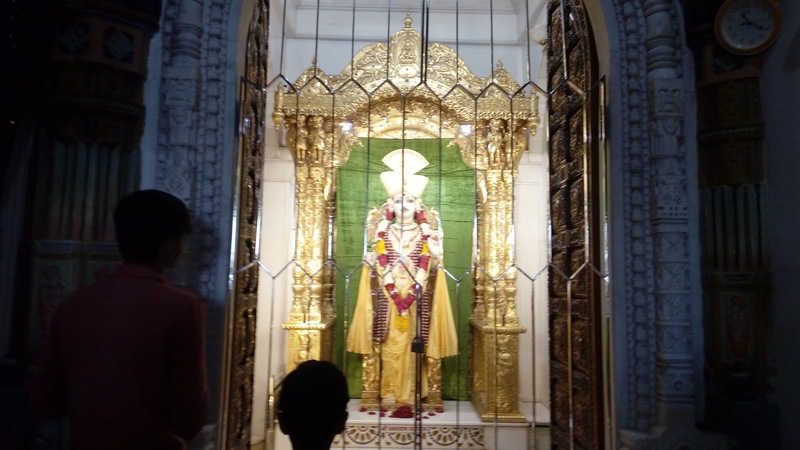 On 23rd may 1934 Brahmaswarup Shastriji Maharaj, the 3rd successor of Bhagwan Swaminarayan, built a beautiful 3-shikhar mandir above the Akshar Deri and consecrated the murtis of Akshar and Purushottam. 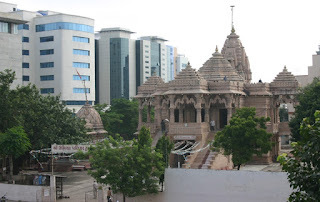 The history of how the Akshar Deri and the mandir was built and its glory and significance in as follows.